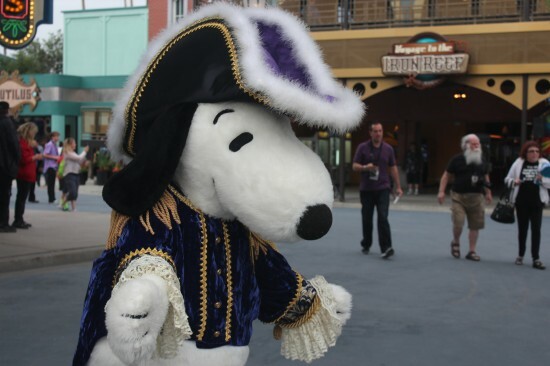 Ahoy there! 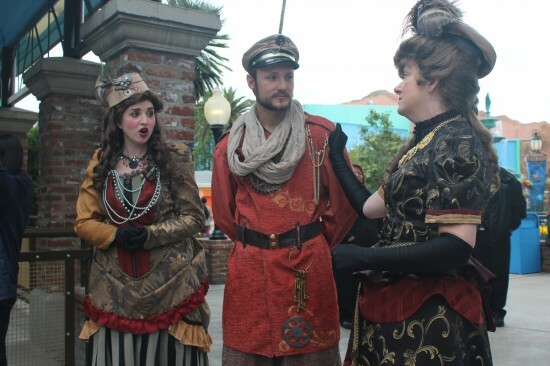 Early Wednesday morning Knott’s Berry Farm hosted a special event for their latest attraction, Voyage to the Iron Reef. 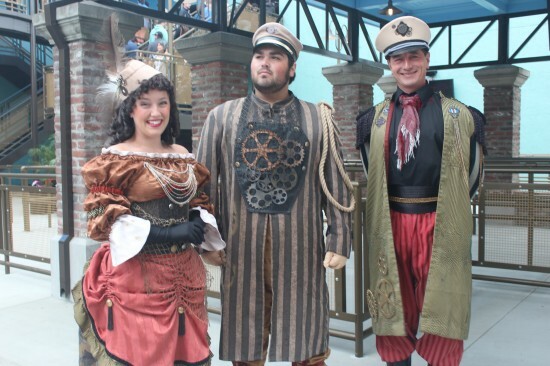 Both press and annual passholders alike were invited to be the first to experience the innovative attraction on its opening day. 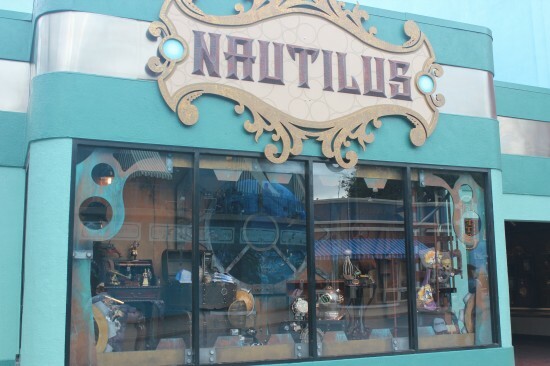 In what can best be described as a steampunk-meets-Jules-Verne version of the popular Toy Story Midway Mania ride at Disney California Adventure, Voyage to the Iron Reef combines a traditional dark-ride adventure with “4-D” interactive elements and competitive scorekeeping. 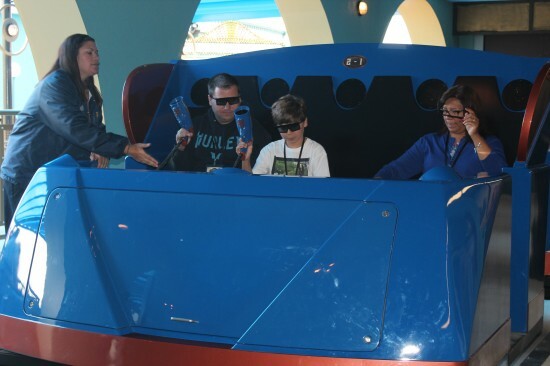 Players board a familiar ride vehicle (here referred to in-story as a “bathysphere” or submarine) and are armed with 3D glasses and light-sensitive laser guns (“freeze rays”) attached via cable to the dashboard in front of them—which features LED score displays so riders can keep track of their own progress, as well as their competitors’. 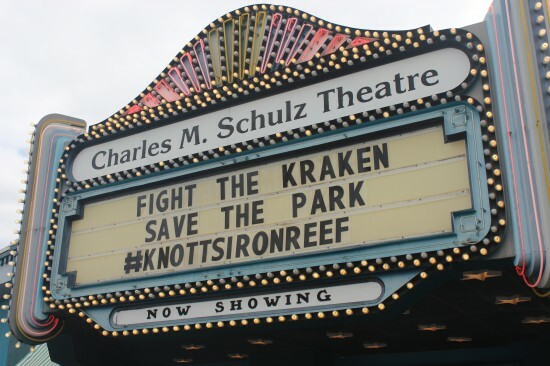 The themed story of Iron Reef is a unique one, in that it incorporates the history and mythology of Knott’s Berry Farm and its attractions, enlisting riders in a quest to save the park from mechanical underwater creatures who are intent on harvesting the metal from the supports of Knott’s many steel roller coasters. 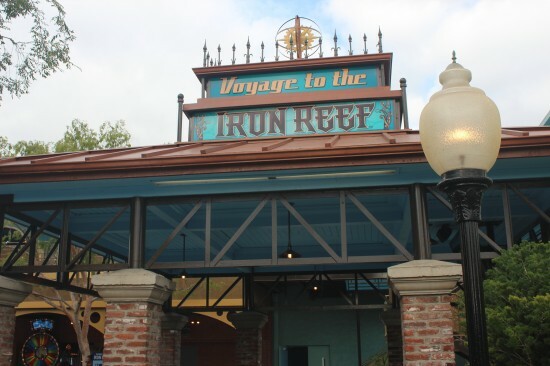 Fortunately, anyone familiar with rides similar to Iron Reef will not have a difficult time figuring out what to do in order to complete their mission: shoot the monsters! The robo-aquatic enemies vary in design from innocuous-looking jellyfish to sinister squids, to the hideously evil Kraken Queen, who confronts players at the ride’s climax with shrieks and taunts. Also hidden in each scene are hidden medallions that, when destroyed, will add big points to a player’s total score. 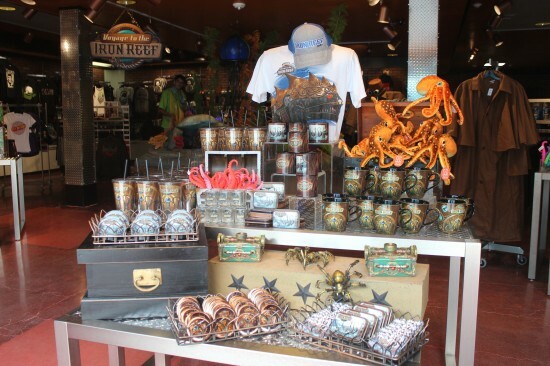 According to the reference information provided to press members during the complimentary breakfast buffet (complete with a cool fish-shaped ice sculpture) before the grand opening of the attraction, the inner workings of Voyage to the Iron Reef incorporate forty-four high-definition projectors and network cabling that are a cumulative eighty-five times longer than the Hollywood sign. It’s a big, worthwhile effort for the storied park, which has been operating in some form or another for about seventy-five years. When taken alongside the recent upgrades to the Calico Mine Train and my personal favorite, the Timber Mountain Log Ride, it’s clear that Knott’s is putting in a lot of work to renew interest in the park beyond its month-long “Scary Farm” Halloween Haunt event in October, which is by far its busiest season. 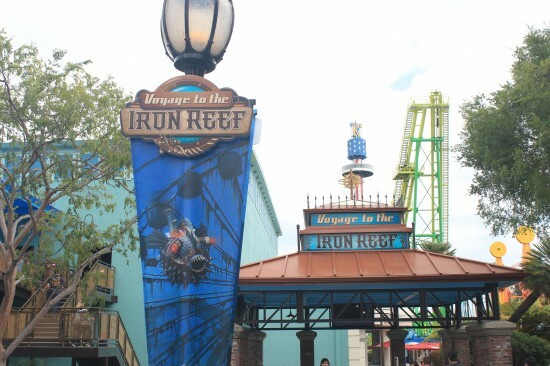 Indeed, as Knott’s vice president and general manager Raffi Kaprelyan noted in his speech during the opening ceremony, Voyage to the Iron Reef is an attraction unlike any other that this particular park has hosted before. However, it’s clear where the influence for this ride (and the updated animatronics in the two above-mentioned mining rides) is derived from: Knott’s closest and oldest competition, the nearby Disneyland Resort. 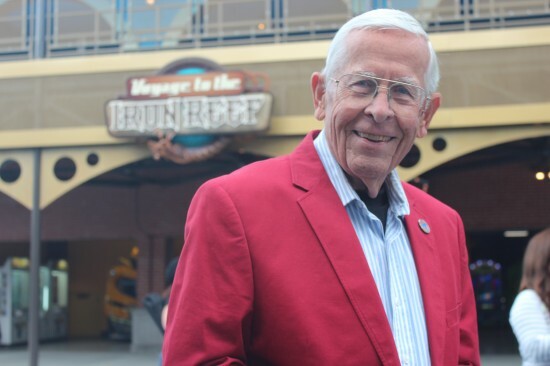 And that influence is not something they’re attempting to hide: in attendance for the ride’s opening was legendary Disney imagineer Bob Gurr, who had helped concoct attractions for Knott’s in the past (some of them previously housed in the same space as Iron Reef), but who was on hand this morning simply to chat with guests and comment on the impressiveness of the new ride’s technology. Another indication that Knott’s is looking to mimic their mousy theme-park neighbors? The Iron Reef’s dock mural contains a “hidden Snoopy” among the coastal rocks. Voyage to the Iron Reef makes for a fun excursion, but it’s not without its faults. First of all, it’s what those in the biz call a “slow-loader”. The individual cars hold very few people and take a long time for guests to both board and disembark. As I mentioned earlier, access to the ride was limited to press and annual passholders all day, but the wait time was still steadily above thirty minutes throughout the morning and into the afternoon. Extrapolating that to regular attendance, it could mean a lengthy queue for a relatively short affair. 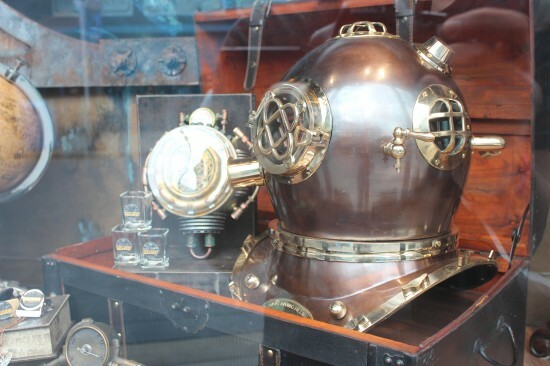 There were also a handful of technical problems very early on: I was able to ride Iron Reef three times during my visit, and on two of those occasions it broke down while I was waiting in line. The problems were resolved relatively quickly, but the fact that there were issues that soon after the initial rope-drop does not inspire a tremendous amount of confidence in the ride’s mechanical stability. Thirdly, I have to say the quality of the overall Iron Reef experience still feels a couple notches below something like Midway Mania, its most obvious antecedent. That ride (featuring a series of colorful carnival games starring everyone’s favorite Toy Story characters) always feels like something I could never get tired of. Don’t get me wrong: Voyage to the Iron Reef is definitely something you’ll want to partake in first-hand a few times, but it’s difficult to say how long it will endure. And if you’re in the business of emulating the Disney parks (regardless of which business was around first), endurance seems like the way to go. On Saturday, the ride broken down repeatedly.. I and other guests spent 2 and a half hours in line.